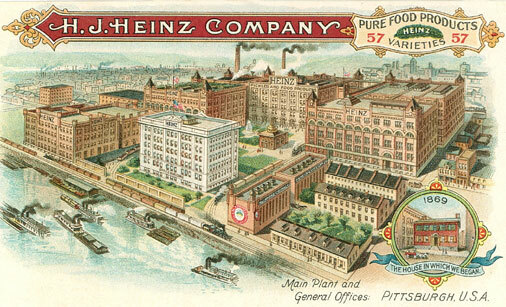 The Heinz factory was famous for its cleanliness. In fact, Henry insisted upon it throughout the entire plant. Women were supplied with uniforms and there were showers and changing rooms for both males and females on the premises for the employees to use. The “factory tour” was invented by Heinz himself in 1899 so that people who wanted to watch the process of making the products they loved could see for themselves how they were made. This turned out to be a brilliant publicity move. It was so successful that other companies started to do the same thing once they saw how the public reacted to it. Each tour took the visitors past the can making department to the soup filling machines to the pickle bottling tables. At the end of the tour the visitors were given samples of Heinz products to take home as well as a pickle pin. The tours were discontinued in 1972 when much of the processing was automated and there was little that the visitor could see due to this automation. That was a rule he tried to put into practice in his own life. Heinz provided his employees with a gymnasium and swimming pool to use, a rooftop garden to enjoy, a library with many classics and modern works to enjoy, an auditorium for gatherings and free entertainment from some of the best professional entertainers around and where organ music was played at lunch time, lunch rooms, free sewing and cooking classes, carriage rides through the city’s parks and boat rides on the rivers in the summer months. He even kept a manicurist on the staff for the employees to go to free of charge. Henry decided early on in his business career that “no one in my employ shall ever have his wages reduced.” That was a rule that he was able to keep. Henry was loved and respected by those who worked for him. He knew many of the employees by name and if someone new came on board, he would try to make them feel at home. He remembered each of his employees at Christmas, visited the sick either himself or by sending someone if he couldn’t go and gave new parents a little silver spoon when they welcomed a new child into their home. If someone was having financial difficulty, it was not uncommon for him to quietly find a way to alleviate that stress. He kept a company doctor, nurse and dentist for employees to visit free of charge. Once when he returned from an overseas trip, he was greeted by hundreds of American flags being waved from the windows of the factory as his car drove up to the plant. The fondness and appreciation for one another went both ways–from the employees to Mr. Heinz and back again. Henry viewed his factory and employees not as a large web of machines and workers but as a large and happy family. He worked hard to retain the employees he had and they, in turn, worked hard for him. 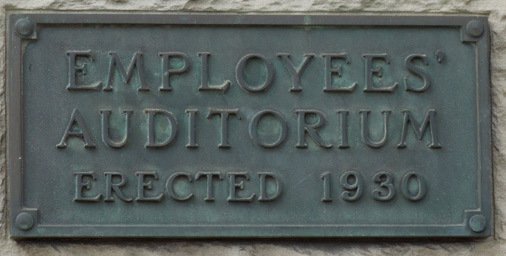 Any disputes were settled in a positive way and there was never a time when his employees went on strike during his lifetime, unlike other companies in the Pittsburgh area which were known for their strikes and union activity, which sometimes turned violent. Construction of the Heinz factory, located on the North Shore of Pittsburgh along the Allegheny River, was started in 1890. This factory was connected to the Pennsylvania, the Baltimore & Ohio and the Pittsburgh & Western railroads all of which came to his plant. This was how he was able to ship his products all across the country. 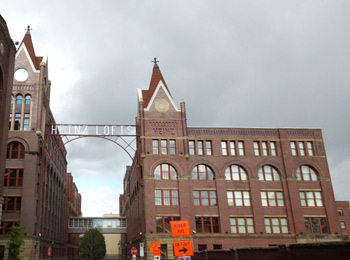 Today the factory buildings are known as the Heinz Lofts. They are beautiful apartments for rent along the river’s edge and with a view of the Pittsburgh skyline. 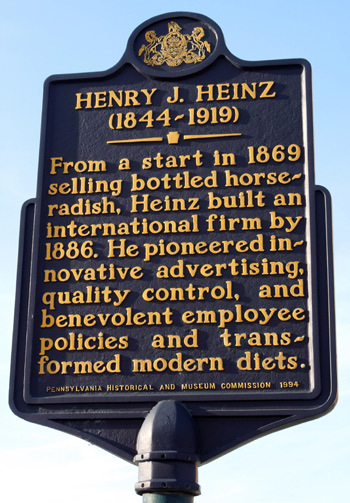 Seeing a need to having fresh produce from which to make his products, Heinz grew produce on company fields and also purchased produce from independent farmers. The greenhouses Heinz had were used for growing experimental crops and developing new seeds. Prior to the early 1900s there were no laws to regulate the food manufacturing industry and manufacturers often put in preservatives and fillers that were not in the best interest of the public. When this became widely known, there was outrage. Dr. Harvey W. Wiley, a chemist in the Department of Agriculture, was on a mission to find and publicize those manufacturers who were adding harmful chemicals to their products. Many food companies thought that federal interference in the food industry would not be good for business but Mr. Heinz disagreed. Seeing a need to restore public trust in the food industry, Henry and his son Howard pushed ahead against many in the processed food business to gain passage of the Pure Food and Drug Act in 1906. He offered his support to Dr. Wiley and President Roosevelt in their quest to clean up the food manufacturing industry. In addition to that, in 1900 Heinz added a chemistry lab that was staffed with “food technologists” (bacteriologists, microscopists and other scientists) that worked to improve the flavor, appearance and nutrition of the Heinz food products. Quality control was a high priority and it insured that high-quality produce was used in the products, the recipes and procedures in preparing the foods were consistent, the cleanliness of the food preparation process was top notch and that the finished products always looked and tasted the same.